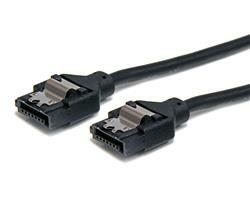 The LSATARND6 6-inch latching round SATA cable is a high quality SATA 6Gbps cable that features a rounded design to help improve airflow inside a computer or server case by providing less resistance as air passes around the cable, in turn helping to ensure optimal cooling for optimized system performance. 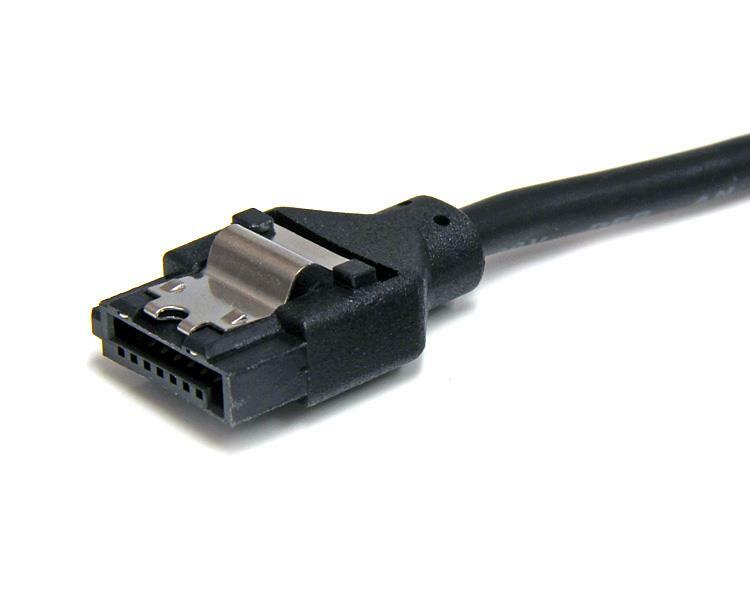 This durable cable also features latching connectors, which lock when connected to a supporting (latchable) SATA port to, ensuring a snug, secured data connection every time to prevent accidental disconnects. Use the hard disk drive, hard drive controller, and SATA cable in another setup to see if the problem is with the components or the setup. Use a different hard disk drive, hard drive controller, and SATA cable in your setup to see if the problem persists. Ideally, you should test a component that you know works in another setup. Make sure that the hard drive is spinning without the SATA cable attached. The power cable should make the drive spin if it is a mechanical drive and not a solid state drive. If your operating system is not detecting the hard disk drive, make sure that the drive is formatted with a partition (for example, NTFS or FAT32). If you are using a computer running a version of Windows, a drive letter must also be assigned to the hard disk drive. For more information about how to initialize a drive, refer to the following FAQ: https://www.startech.com/support/faqs/technical-support?topic=hard-drives#initialize-hard-drives.